Leslie Lerner Properties announces their new Heights/Greater Heights real estate listing at 804 Enid Street Unit B. 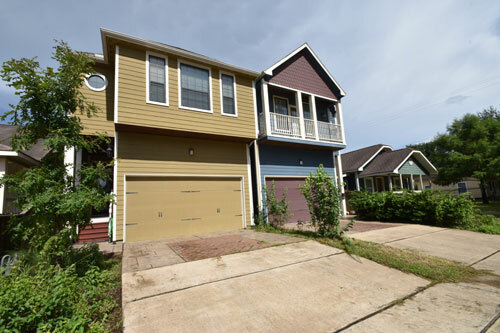 This nice two-story home has an a open floorplan, first floor living areas a covered patio and fenced backyard. Perfect for entertaining! Enter the home and notice the gleaming oak hardwood floors,10 foot ceilings, crown molding and detailed millwork throughout. The living and dining rooms open to the kitchen with stainless appliances, granite countertops and a breakfast bar. The second floor master suite has high ceilings, recessed lighting, natural light and a bath with dual vanities, granite counters and a clawfoot tub and shower. There are two secondary bedrooms upstairs and a hall bath with a tub/shower. Great backyard area with a covered patio.